(Tragopogon porrifolius) 120 days. [Pre-1900] Easy-to-grow roots, 1-1½ in. wide by 8 in. long. Sow in spring, seeds 1 in. apart, in rows 12-18 in. apart, thinning to 3-4 in. apart. 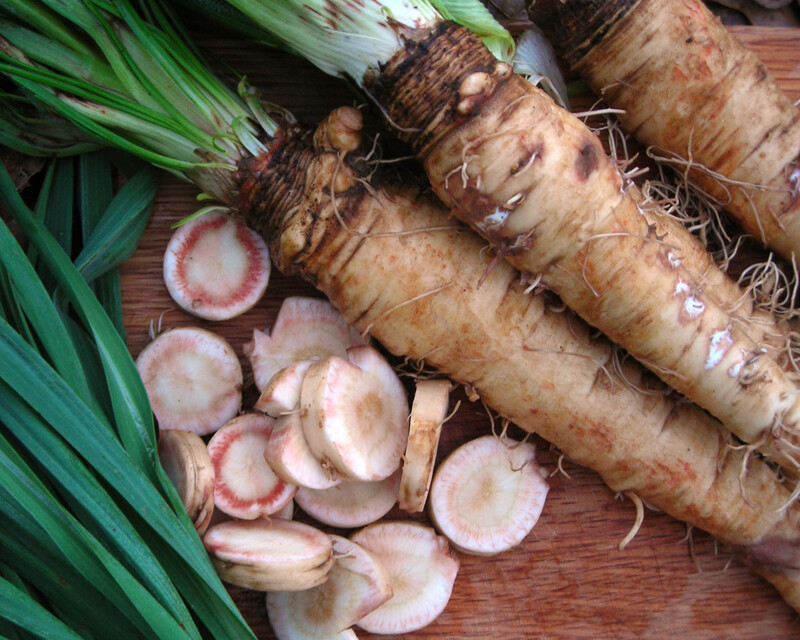 Roots have an oyster-like flavor (some say scallop-like or artichoke-like). 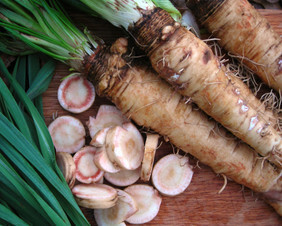 Best harvested after frost, roots keep well in ground. Use stewed, baked, or in a cream sauce. Pkt (3 g, 185 seeds).